If you wish to sit up, then sit up. In the proper place where my beasts are bedded. Thou shalt not steal, thou shalt not covet thy neighbors goods, nor covet thy neighbors wives, thou shalt have no other Gods before me, thou shalt not use the Lord's name in vain, thou shalt keep holy the sabbath day, thou shalt honor thy mother and father, thou shalt not bare to false witness...thou shalt not covet thy neighbors wives. Aye. You see, Sir, between the two of us, we do know them all. I like it not that Mr. Parris should lay his hand upon my baby. I see no light of God in that man. Ill not conceal it. Ill plead no more! I see now your spirit twists around the single error of my life, and I will never tear it free! Ill tell you whats walking Salem, vengeance is walking Salem. We are what we always were in Salem, but now the little crazy children are jangling the keys of the kingdom, and common vengeance writes the law! This warrants vengeance! Ill not give my wife to vengeance! A fire, a fire is burning! I hear the boot of Lucifer, I see his filthy face! And it is my face, and yours, Danforth! For them that quail to bring men out of ignorance, as I have quailed, and as you quail now when you know in all your black hearts that this be fraudGod damns our kind especially, and we will burn, we will burn together! New Updates! (4/26/2019) We've been working really hard on completing our membership system so you can submit quotes and keep track of them. Once this is complete in the coming weeks there will be a lot more quotes by John Proctor and other authors. We've also changed the sorting on the site so you now see the latest John Proctor quotes first. 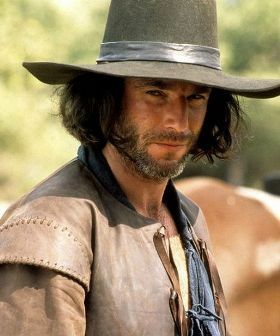 Our goal is to have the best John Proctor quotes on the web!